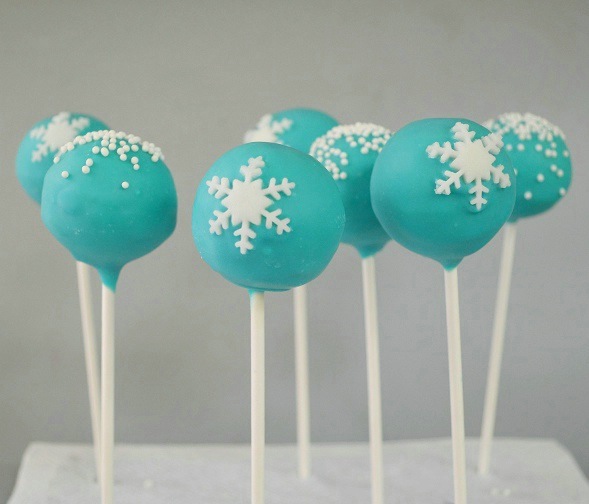 These cute snowflake cake pops are hand-dipped in imported white chocolate before it is lovingly hand-decorated. Each cake pop measures approximately 4 cm diameter and weighs approximately 25 grams. Each cake pop is individually wrapped in a cellophane bag and secured with a twisty tie. Minimum order of 1 dozen. Please order at least 2 days in advance.